Scotland Street School Museum is a museum of school education in Glasgow, Scotland, in the district of Tradeston. 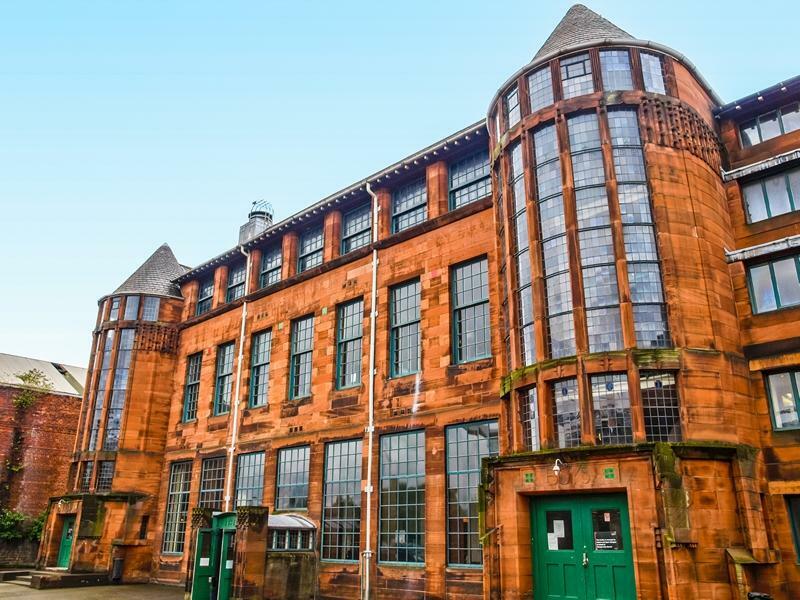 It is located in a former school built by Charles Rennie Mackintosh between 1903 and 1906. The building is one of Glasgow's foremost architectural attractions. It is located next to the Shields Road subway station. During the building's construction, Mackintosh frequently battled the school board about the design (the board wanted a less expensive design). The total cost for the building was £34,291, which was over budget. The building features a pair of windowed Scottish baronial style tower staircases. The school, which also served Tradeston, was designed for an enrolment of 1,250. However, by the 1970s the area was experiencing urban decay, and the school's enrolment fell to under 100. The school closed in 1979. Mackintosh based the design of the school on Rowallan Castle in Ayrshire and Falkland Palace. Sorry, but we have no upcoming events for Scotland Street School Museum. If you know of an event taking place at Scotland Street School Museum or anywhere else in Glasgow tell us about it and we'll list it on the website, for free!